Key Phrase: Taking It All In! 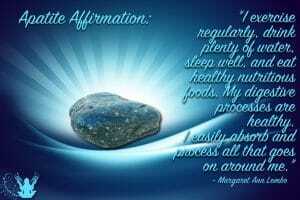 Affirmation: My body is perfect. I am the perfect weight for my height, build, and genetics. 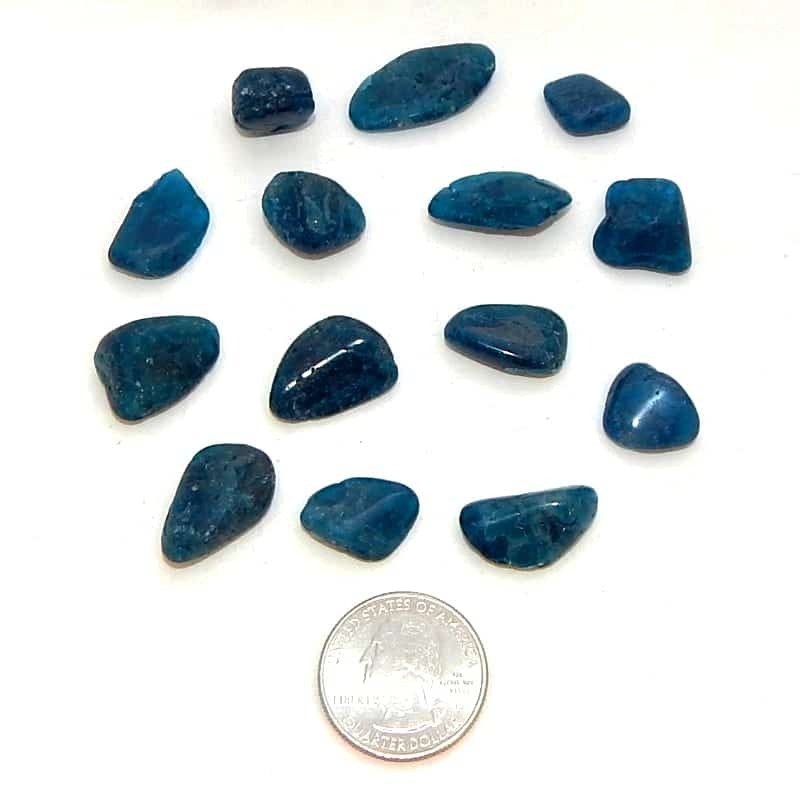 About the stone: Apatite is a calcium phosphate that crystallizes in the hexagonal system with stocky prismatic to tabular crystals. The mineral can be transparent to opaque. 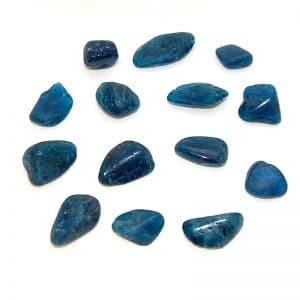 Spiritual uses: This stone aids the assimilation process of the information in a grounded way so that it can be used and integrated into daily life. 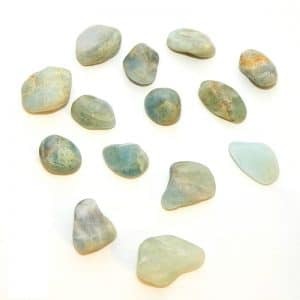 Mental uses: Employ this stone to help you understand thoughts and concepts, especially when you are feeling overwhelmed. 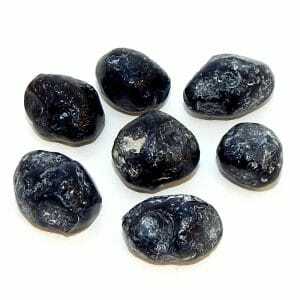 Physical uses: This is a good stone for dieticians, nutritionists, gastroenterologists, and any type of weight-loss or weight-gain counselor.